Kareena Kapoor Khan is these days concentrating on shedding her excess weight that she gained due to pregnancy. Now that the Jab We Met actress has come be back to work, Bebo is making sure that she makes every effort to get back to her old shape. 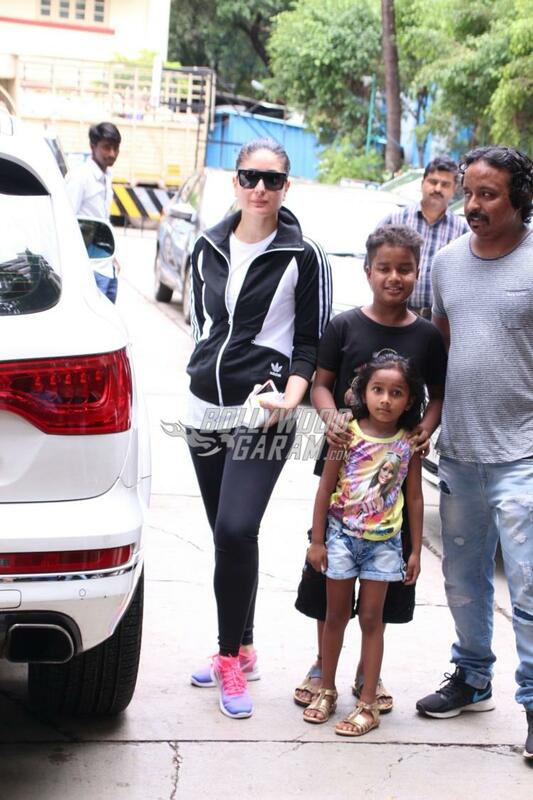 Kareena was snapped outside her gym in Mumbai on June 12, 2017. This time a fan requested the Udta Punjab actress to pose for a picture. Kareena obliged to pose for a picture with her popular pout which makes her look even more glamorous. The 36 year old actress looked great in an Adidas jacket with black leggings and purple sneakers with pink lace. Kareena is expected to begin shooting for the upcoming film Veere Di Wedding in September 2017. The film will be directed by Shashanka Ghosh and also features Sonam Kapoor and Swara Bhaskar. Reports say that the actress has also been approached for a biopic by Omung Kumar.